The EFF's charges against Pravin Gordhan contain various unexplained discrepancies, a News24 investigation has found, with the party's leader's charge about a secretive Canadian bank account especially tenuous. Gordhan does not hold dual or any other form of citizenship besides South African citizenship. Julius Malema laid various charges against Gordhan, Minster of Public Enterprises, on Tuesday, including contraventions of the Intelligence Act, racketeering and money laundering, fraud and perjury. He also laid charges against Gordhan's daughter, Anisha. This followed charges of crimen injuria and criminal defamation that were laid against Malema and EFF deputy leader Floyd Shivambu by Gordhan on Monday. He also asked the police to look at the possible incitement of violence by Malema and Shivambu. News24 scrutinised the draft charge sheet – circulated by EFF spokesperson Mbuyiseni Ndlozi – that Malema claims proves their allegations against Gordhan and his daughter, and found several key discrepancies. Racketeering and/or money laundering - Gordhan opened and operated, with corrupt intent, "an unlawful foreign bank account held in Canada. Royal Bank of Canada, Shebrook in Montreal, Account number 585425-91 and account holder R Jamandas Gordhan and account balance is $48 756 292." Further, Gordhan's denials over his alleged "financial dealings" in Canada amount to perjury. Firstly, the "account number" provided by the EFF to police does not match the account numbers used by the Royal Bank of Canada (RBC). This was confirmed by four independent sources, as well as by a customer care representative of RBC. 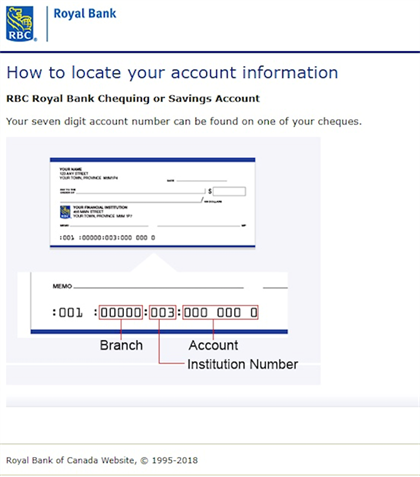 An analysis of the "account number" was done using information on account numbers found on RBC's website. The number provided in the charge sheet consists of a six-digit and a two-digit number, separated by a hyphen. The RBC website shows that all RBC account numbers consist of a five-digit transit code, a seven-digit account number, and a three-digit branch code. The "account" number listed in the EFF's draft charge sheet has no way of matching to a RBC account number, even if one takes into account different configurations of the numbers they provided. News24 has established that non-Canadian citizens can only apply for a bank account at any bank if they are in the process of immigrating or hold a student or work visa. RBC only allows foreigners in possession of either temporary or permanent residency permits to open accounts with the bank. Canadian nationals can open an account, regardless of their place of residence. Royal Bank of Canada told News24: "Our bank account numbers are seven digits in length. Due to privacy, we are unable to confirm if the number you've listed is an actual RBC account. To open an account, you must be immigrating to Canada. Once the application is complete, an in-branch appointment is needed to present identification and obtain a client card." Appearing before the state capture commission last week, Gordhan denied that he has a bank account in Canada and repeated the denial on Tuesday in a statement. A spokesperson for Gordhan also denied that he had ever visited a branch of RBC for such an appointment, and further denied that Gordhan was now, or ever, in the process of emigrating to Canada. He also only holds South African citizenship. He does not hold dual citizenship and is not attempting to apply for any form of residency or any other status in Canada. This would preclude him from holding a bank account at the RBC. Alastair McAlpine, a South African doctor working in Canada, also banks with RBC. He confirmed that his account number is 12 digits long, and consists of five-digit transit code, a seven-digit account number, and a three-digit branch code. He added that the account would only be operational for the duration of his working visa, which is two years. Another News24 source living in Canada visited their local RBC branch in Toronto on Tuesday and provided the EFF's account number, under the pretence of wishing to transfer funds to a relative. The teller informed our source that the account number was not correct. The EFF further alleges that Gordhan "ordered various taxpayers" to deposit "large amounts of money" into the said account in exchange for favours. The EFF also claims that this constitutes fraud and that Gordhan's denials at the state capture commission constitutes perjury. The EFF does not provide details of either the amounts, the dates of the payments or the nature of the favours promised. The account holder is named R Jamandas Gordhan and the branch of the bank is in Shebrook, Montreal. This claim is factually incorrect in two aspects: the name of the account holder and the location of the branch. The EFF spelt Gordhan's name wrong twice in the charge sheet distributed to the media. Despite being central to their entire case, the EFF referred to Gordhan as "R Jamandas Gordhan", getting both his first name initial and second name wrong. Gordhan's full names are "Pravin Jamnadas Gordhan". An ID verification using third-party software confirmed this. The Royal Bank of Canada branch mentioned is also not located in "Shebrook in Montreal", but rather in Sherbrooke, which is a city in the southern part of the Quebec province. Montreal, another city in the same province, is some 156km away from Sherbrooke, details which are easily verifiable utilising a simple Google Maps search and branch locator function on RBC's website. There is however a RBC branch in Sherbrooke street in downtown Montreal. Gordhan knowingly participated in the formation or an unauthorised and unlawful intelligence gathering unit of SARS (also known as the rogue unit) which the EFF draft charge sheet claims is in contravention of the "Intelligence Act". In support of this claim, the EFF plans to submit a now discredited 2015 report by advocate Muzi Sikakhane SC into allegations against South African Revenue Services officials relating to the establishment of a so-called "rogue unit". The Sikhakane report found the establishment of the unit was unlawful, but it made no findings against Gordhan, who was the SARS commissioner from 1999 to 2014. It recommended that a judicial commission of inquiry look into the unit. This inquiry also found that the unit was unlawful, but was dismissed by commission leader Judge Frank Kroon earlier this year, who retracted it and said the unit must be re-established. KPMG also disavowed itself from a report finding that the unit was illegal, while the Sunday Times - which revealed the existence of an "illegal unit" - has also retracted its stories. Judge Robert Nugent, who is leading the commission of inquiry into SARS, also came to the same conclusion and said in his interim report: "I have not yet found why the creation and existence of the unit was said to have been unlawful, which is how it was consistently and uncritically depicted. I find no reason why the establishment and existence of the unit was indeed unlawful, and I am supported in that opinion given to [SARS Commissioner Mr Tom] Moyane in late 2015." Gordhan lied under oath regarding the unlawful activities of his daughter, Anisha Gordhan. The EFF, under charges it outlines against Anisha, further add that she "participated in government business representing her father and/or his business associates (Investec). The EFF has claimed Anisha Gordhan was guilty of corruption as "her company", mainly Vox Telecommunications, had done extensive business with government as a result of Gordhan's position as finance minister. News24 found that Anisha Gordhan was employed as an investment banker in the equity department of Investec Bank between 2007 and 2017. Investec is one of the largest shareholders of Vox Telecoms, which necessitated Anisha Gordhan's position as a non-executive director of Vox. News24's full fact check of the EFF's claims over Anisha Gordhan can be found here. In the draft charge sheet, the EFF failed to substantiate its claims that Anisha was "representing" her father in deals done with government and furthermore fails to establish that Gordhan was/is a business associate of Investec bank or any owner/employee of the bank. The EFF and Malema further claim to have "confidential statements of key witnesses" and "banking details" to support the allegations against Gordhan. Malema's claim: He participated in state capture as a member of cabinet. What we found: Malema provides no evidence for or detail this except to make the statement. Malema's claim: He lied under oath in respect of his meetings with the Guptas. What we found: Malema provides no evidence for or detail about this. Gordhan was previously criticised because he omitted the presence of Ajay Gupta during a meeting between himself and an Indian businessman in a written answer to Parliament. He told the state capture commission that the meeting occurred in 2010, that he did not remember Gupta’s attendance and that he corrected himself in his sworn statement to the commission. * This article has since been updated. There could be further updates once more information becomes available.